As I continue to look to the past to prepare for the future a wise old farmers saying came to my attention. "Don't eat your seed corn." This refers to keeping a portion of your crops to plant for the next year. If you use up everything you produce you are only living in the present and not thinking about the future. Don't sacrifice what you want now for what you want most. It can be beneficial and rewarding to feel a little hungry in the short term so that you can benefit much more in the long term. A small sacrifice now can provide a much larger reward due to patience and diligence in following this truth. This applies not only to farming but also to finances and virtually every aspect of prepping. Those in the financial world would tell you that eating your seed corn means that you are also giving up your future profits, interest, dividends, etc. A dollar saved can be much more than a dollar earned. It can be multiples of a dollar. If you prefer to spend to appease your appetites more than save and be patient then you likely do not understand this concept. 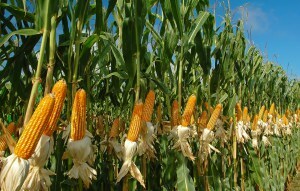 Utilizing your seed corn properly can make you rich while eating your seed corn will most likely ensure that your are always poor. If you haven't already come to the realization that eating your seed corn is a big deal with huge consequences you eventually will if you do. The most obvious parallel with this concept to prepping is the need to store seeds in order to plant a garden in the future. If you already have a garden then you should learn how to harvest the seed from a small portion of your crops that you don't eat so that you can plant again next year. The key word here is "small". It doesn't take much; you don't have to set aside much this year for it to bring you a bountiful harvest next year. That is true with more than just gardening. Another aspect of this truth applies to building your stockpile of emergency supplies; that you should "never spend your principal." This financial statement is easily understood as it applies to money. I encourage everyone to keep a minimum of three month worth of cash, food and other household supplies in their cupboards. It is easy to see all the "extra" stuff on the shelf and not feel the need to replenish it every time you go to the grocery store. If you aren't disciplined to follow this principle with your food storage then you may find yourself one day with less ability to hold on during an sustained emergency event. Use the word "extra" very carefully and purposefully. The additional 3 months of supplies you what worked hard at accumulating and continue diligently rotating are by no means "extra"; something typically defined as no longer used or needed. There is no such thing as extra cash, extra food, extra supplies. The thought process of those who subscribe to this truism is quite different from the majority of people who spend their future income to live above their means by using debt. If you can get yourself into the mindset of purposefully saving with an attitude of abundance you will realize, as I have, that you will use your money wisely, that debt is not a tool, and if you can't hold in your hands it you don't own it.